Train smart. Do not rush. Listen to your body. And your doctor. Injuries and even death are possible during exercise, especially if done by a person with health risk factors that they may not even be aware of, such as a heart condition. All information on www.Exercise-Guide-To-Lose-Weight.com including but not limited to text, graphics, images, RSS feeds, links, advertisements, and all other material contained on the website is intended for your general knowledge and education only and is not a substitute for medical advice or treatment for a specific medical condition. No pain should be felt during any exercise, especially in the joints and/or lower back. Proper form is imperative for exercise effectiveness and safety. If pain is felt during a particular exercise when using proper form, you should: 1) use a shorter range of motion; and/or 2) choose a different exercise; and/or 3) consult your doctor. 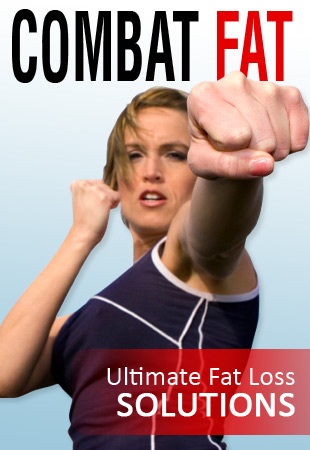 All effort has been put into providing safe and effective exercises, techniques and healthy eating strategies. Any information contained on www.exercise-guide-to-lose-weight.com is not intended to diagnose, prevent, treat or cure any disease or ailment. All exercises and all nutritional information are suggestions only for persons in apparently good health and who have been cleared for physical activity by their doctor. In no way are you to consider the information we offer as medical advice, nor does it constitute a doctor/patient relationship. Wayne Salter or any contributors, advertisers or any other websites linked to or from www.exercise-guide-to-lose-weight.com will not be responsible or liable for any injury sustained while following any of the workouts, suggestions, ideas or nutritional information posted on this site.